I said there would be surprises. One of the two longest serving Democrats from Texas in the U.S. Congress won’t seek re-election. 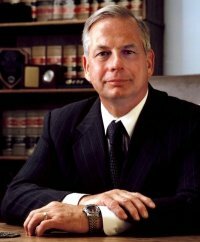 U.S. Rep. Gene Green, D-Houston, announced Monday that he will not seek re-election in 2018. Green was first elected to Congress in 1992 and represents a district that includes South Houston, Pasadena and loops up to pick up Aldine. In his statement, Green stressed his years of constituent service in Houston. Didn’t see this one coming. I guess Rep. Green just had enough, because if the Dems retake the majority he’d surely have been in line for a committee chair. As you might imagine, for this strong Dem seat (it’s bluer than Hensarling’s is red), the rumors and gossip about who may be running started in earnest. Sources confirm to the Texas Tribune that among those considering a run for the seat: Garcia, state Reps. Carol Alvarado and Ana Hernandez, state Sen. Sylvia Garcia, and attorney Beto Cardenas, who served as a staffer for U.S. Rep. Frank Tejeda, former President Bill Clinton and former U.S. Sen. Kay Bailey Hutchison. Democratic pollster Zac McCrary worked on Green’s re-election campaign last year and knows the electorate well. Noting that there is a glut of candidates in even the most Republican seats, he suggested the field could be one of the most crowded Texas primaries seen in years. I’ve heard that Sen. Garcia is already in; it’s a free shot for her, as she’s not on the ballot this year otherwise. State Reps like Alvarado and Hernandez would have to make a choice. Adrian Garcia didn’t get a mention in this story but I’m sure he’s thinking about it. Everyone has till December 11 to decide. All I know is that my schedule for doing primary interviews just got a lot busier. My thanks to Rep. Gene Green for his service, and my very best wishes for a happy and healthy retirement. Gene Green will be missed as he is a lot better than any of the names that were mentioned. Adrian Garcia was actually mentioned in the Texas Tribune story, re-telling his run against Green in 2016. Gene is a good representative of his district, he does the things a good legislator should do, he listens to his constituents and reflects their views in his votes. I really hope Adrian Garcia does not win this seat next go-round. His campaign strategy of “hey, y’all are Hispanic, I’m Hispanic, vote for me, not the white guy,” I found to be extremely distasteful. Would be nice to get a replacement that isn’t all in on identity politics. I predict now that seat will go to a Hispanic, and that’s fine, but hopefully they vote for someone best able to vote the concerns of that district, which happens to be heavy on industry and, by extension, good paying, industrial jobs.